CRISPR pioneer Jennifer Doudna, Ph.D., is among co-founders of a newly-launched startup created to develop a CRISPR-enabled platform capable of detecting any biomarker or disease containing DNA or RNA. Mammoth Biosciences has committed itself to “democratize disease detection” by using proprietary CRISPR technology licensed exclusively from the University of California (UC); Dr. Doudna’s lab is based at UC Berkeley, and she will chair Mammoth’s Scientific Advisory Board and oversee the company’s scientific vision. The company said it aims to develop an easy-to-use and affordable point-of-care test enabling fast, simultaneous detection of multiple conditions, in real time, both in the hospital and at home, through a single credit card-sized strip form factor. Once at-home users have completed the test, they would be able to securely upload an anonymous photo of the strip to Mammoth’s corresponding application for remote analysis, then receive their confidential results and professional advice, all in under an hour according to Mammoth. Mammoth positions its platform as one capable of reducing healthcare costs by replacing the need for dedicated testing devices—based on applications ranging from disease detection and biosensing short-term, to gene editing and therapeutics longer term. Mammoth said it will initially focus on healthcare applications, with the aim of transforming diagnostic testing from hospital and point-of-care settings to at-home testing. The company said its long-term vision is to provide a CRISPR-based platform on which Mammoth and partners can build an infinite number of tests, both within healthcare and also across industries such as agriculture, oil and gas, and forensics. Mammoth said it was currently reviewing partnership requests from would-be users of its platform. That platform, according to the company, uses technology capable of discovering additional Cas systems and revealing an infinite number of future applications. Investors in Mammoth include Mayfield, NFX , 8VC, AME Cloud, Wireframe, Kairos, and Boom Capital. Some of those firms have invested in corporate giants that included Amgen and Genentech, as well as Facebook, Lyft, and Yahoo!. Drs. 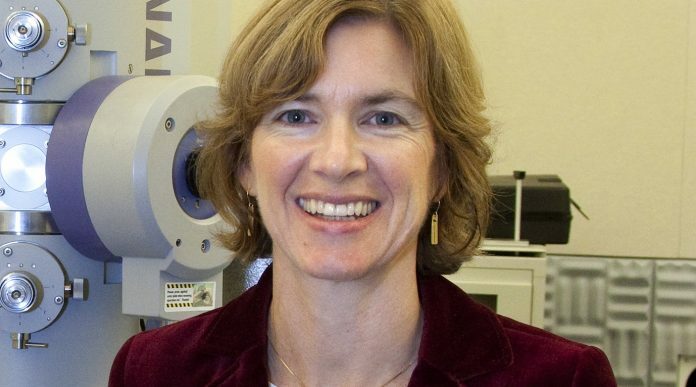 Martin and Doudna are among co-founders of Mammoth, along with Ashley Tehranchi, Ph.D., who will serve as the company’s CTO; and two UC Berkeley students, Janice Chen and Lucas Harrington, who will head scientific research.